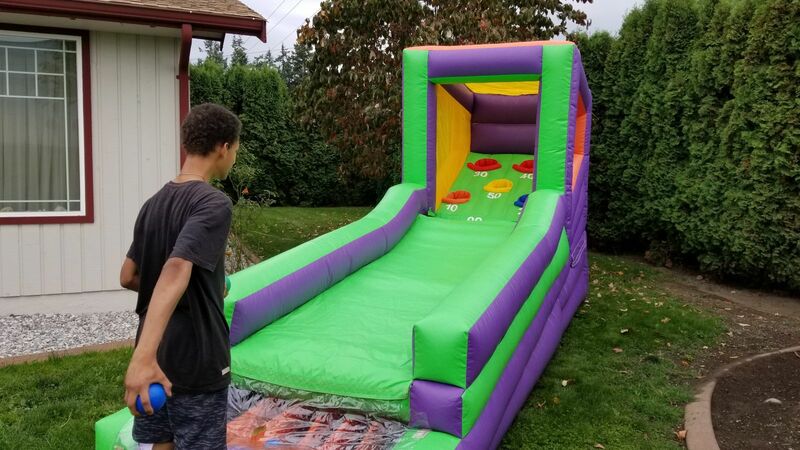 A giant inflatable version of the Arcade and carnival Skee Ball game. This is a very popular group game and a proven crowd pleaser. Skee Ball is a game of skill, action and technique. This game is a huge hit for all ages. This addictive game makes participants want to play game after game to beat their score and the scores of the other guests. You can entertain your guests for hours with this Inflatable Skee Ball game. Skee Ball is a great choice for Company events, schools parties, churches, summer camps and family parties.